I was fortunate enough to head down to SOCAL in July and attend a live LCS match. Here’s VLOG #3. As you may know, Boss Lady and I like to do a lot of camping. I’ve been asked on multiple occasions to do a camping VLOG. I present to you a mini-camping vlog. Here’s my first attempt at a VLOG. Dreamhack Austin was an amazing event! Unfortunately, Allied doesn’t have health insurance. Having had Cancer myself, I know Allied has a difficult battle ahead of him and worrying about medical bills is not something he should be focused on. On April 21st, Cesarvthunder, Xtrememan, Mistyra and I will be doing a 12+ hour charity stream to support Allied. All money donated during the streams on the 21st as well as money from new subs that day will be donated to Allied. 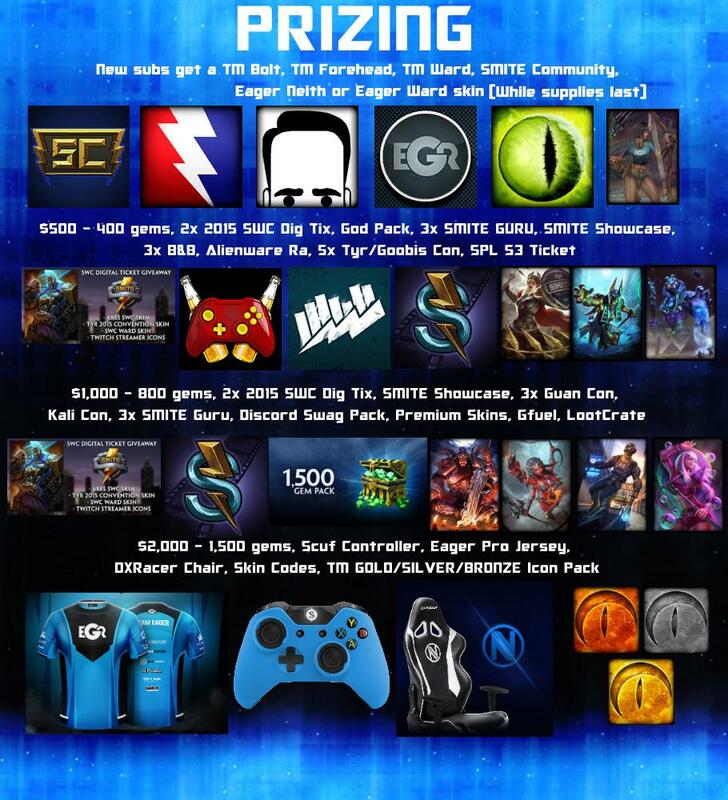 See prizing below.